For most people, they want to remain independent and living in their own home as long as possible. Even though they realize that the day will come, they put it off until they have no other option. However, it may make sense for some people to move into assisted living sooner rather than later. Here are some reasons why. As a homeowner, a person carries a lot of responsibility. They must maintain their home, take care of repairs and pay for regular and unplanned costs. As a person ages, they may be less able to do the work themselves and have to hire it done. This increases the cost of living independently and cuts into the funds reserved for their retirement. An assisted living facility requires very little maintenance. It’s much easier for the person to handle, and they can call for help with anything they are unable to do on their own. Many assisted living facilities come with some type of meal plan. For many, this is an important aspect of these types of living situations. As people age, they often lose their appetites. If they live alone, it’s all too easy to skip meals or snack instead of eating a nutritious, well-balanced meal. 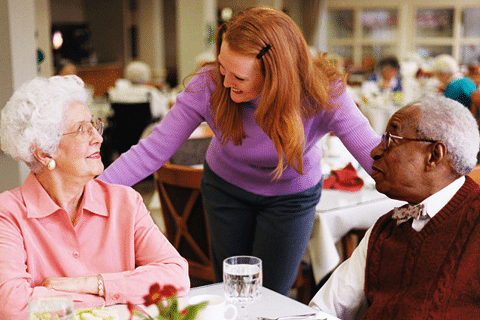 Assisted living centers provide regular meals that are figured into the overall costs. These meals are designed specifically for seniors and can be adapted to those with special dietary needs. Having meals prepared for them is one of the main health benefits of assisted living. Whether you prefer to eat in the dining area or have your meals in your room, you can enjoy delicious foods without the work of purchasing or preparing them. One of the challenges of growing older is the loss of socialization. You may no longer be able to get out as much as you would like, and your friends are either unable or too busy to visit. In an assisted living facility, you can find people your own age with similar interests to spend time with. Many of these centers provide regular activities to encourage socializing. Lack of socialization can lead to many health problems, including depression and anxiety as well as physical ailments. 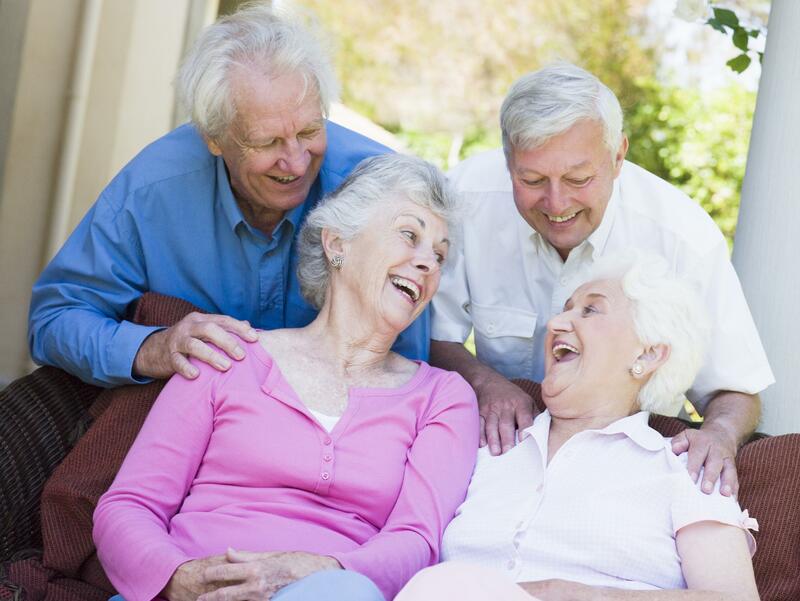 People who enjoy visiting with others will have a higher quality of life. They can play games, work on crafts and other hobbies, attend parties or do a variety of other activities that they used to enjoy. Even people who are otherwise healthy and independent may have an issue with getting out of the house. They may not feel safe to drive or be unable to get around as easily as they used to. Assisted living usually provides transportation to doctor appointments, shopping and other activities. Instead of trying to maintain their own vehicle, they can rely on transportation provided by the facility. Even if you aren’t to the point where you can no longer stay in your own home, moving to an assisted living facility may make sense for your situation. As you can see, there are many benefits with this option that will improve your life and allow you to enjoy your retirement years.